I always get the carnitas. Mexican food is the cornerstone of local cuisine in San Diego, where I live. My husband and I have our favorite restaurants and taquerias but whenever we branch out to try a new place I always order the carnitas as a sort of benchmark of how good the food is. It’s a simple dish – succulent braised pork shoulder, served with warm tortillas and a host of fresh accompaniments such as sour cream, tomatoes, salsa and cilantro. Any guilt I may feel over the less-than-healthful manner in which carnitas are traditionally prepared (i.e., in lard) disappears immediately after I wrap them up soft taco-style with “the works” and take a big bite. 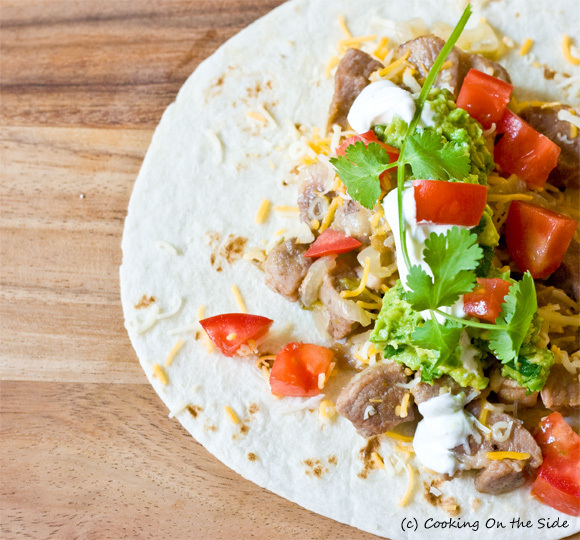 I found this recipe for a somewhat healthier version of carnitas on a package of pork shoulder. It calls for braising the pork with onions, garlic and green chiles in chicken broth. While you give up the crispy strands that slow-cooking in lard yields, you still get very moist, flavorful chunks of pork that taste wonderful in a soft taco. Heat 2 tablespoons of the oil in ovenproof heavy large covered pot over high heat. Add half of the pork cubes; sprinkle with half of the salt and half of the black pepper. Cook pork until starting to brown, stirring often. Remove pork. Repeat with remaining pork cubes, salt and black pepper, adding more oil if necessary. Drain drippings from pot. Heat remaining 1 tablespoon oil in the same pot over medium heat. Cook onion in hot oil until tender. Stir in undrained chiles and garlic; cook for 2 minutes. Return pork to pot. Add chicken broth. Cover and bake for 1 hour. Season with additional salt and pepper to taste. 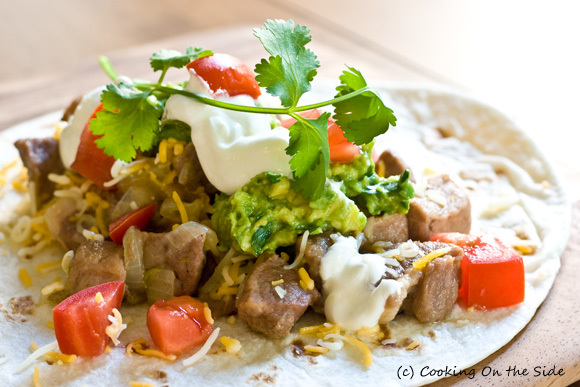 Serve pork in tortillas topped with toppings. These images are so vibrant and colorful! The cilantro just pops off the page. Beauitful! They look like one could reach in and pull one right off the page. your photos are wonderful! I think you’re crazy to think otherwise. But these look way better any food joint could serve. These look delicious! Yummy! If my son sees these…. I love me some carnitas! I do them with citrus and peppers, cook, shred, then broil to get a little crispyness to them. SO easy. Fabulous! 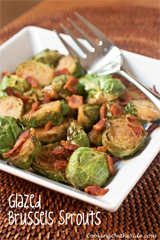 I like mine with cabbage – gotta try these. BTW, don’t EVER, EVER, get the faux carnitas at El Pollo Loco – in an emergency I had to get fast food before a class – they look good, but taste AWFUL. Now I will go and save your recipe for these. Thanks so much! Hmmm, so fresh and delicious looking. 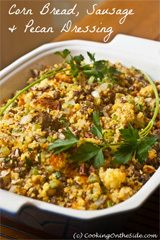 Oh yum, I just had carnitas in San Fran a few weeks ago, but I like this healthier cooking method. Whatchoo talkin about, bad pictures?? Pfffft. These are gorgeous. I just made cuban pork tacos last week and I’m craving them again thanks to you! I’d love to give them a try next time I’m in the OC! I’m loving this blog! These look really good, at Mexican restaurants I am never very adventurous but I’ll remember carnitas next time I go out. I’ve never made carnitas at home, but now I’ll have to try! I used to live in SD (in Point Loma). Have you ever tried Adalberto’s over there? 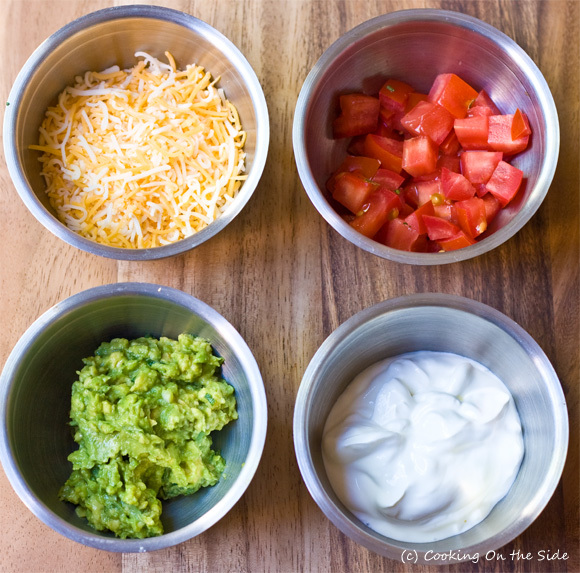 I love their guacamole and carne asada chips…I’m drooling just thinking about them! I haven’t been to Adalberto’s – must soon remedy that! 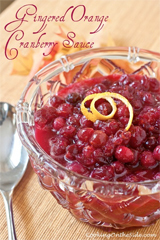 grace’s last blog post..a dazzling debut! YUM! We love anything Mexican – I’m now trying to think if this could be converted to a slow-cooker version using the same flavors?? Oh, and someone already said it but WOW is that cilantro just jumping off the page. Great pictures! My guess is it probably could be a good candidate for the slow cooker. I need to pull mine out more often – so convenient! That looks amazing! Carnitas are one of my favorite meals! I fixed this tonight along with black bean soup and all i can say is WOW!!!!!!!!!!!!!!!!! I don’t live in an area were you can get traditional mexican food like carnitas (central IL) but i just can’t imagine anything tasting better than this. I had to modify the recipe a little bit unfortuantely. I forgot the green chilies at the grocery store so i justed used a little chili powder along with a little cumin and the results were outstanding. I LOVE carnitas!!!! This looks awesome! These look sooo good, excellent photo shots. .-= ThatsSoYummy´s last blog ..Twitter To Launch Its Own Wine =-. Our kids love our tortilla evenings – and with this dish it only got better. Made it the other week. So simple – so yum! Substituted the preserved chillie with a fresh red chillie. Also I used 1/2 cup broth on only 1 pound of pork. Tip for anyone making this dish: check every 20 minutes and add more water if necessary. Thanks!